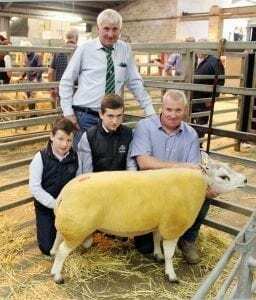 Matthew Burleigh, Matt’s Flock, right, with his Ram Lamb Show Champion, Matt’s Crown Jewel. Also included is judge, David Thornley. 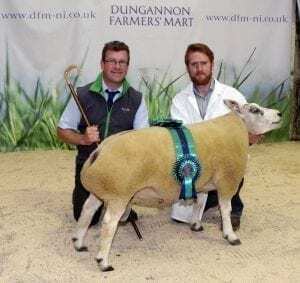 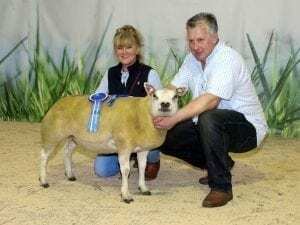 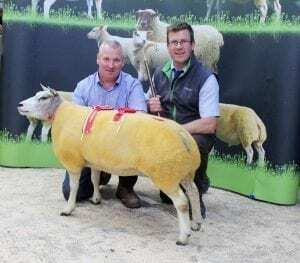 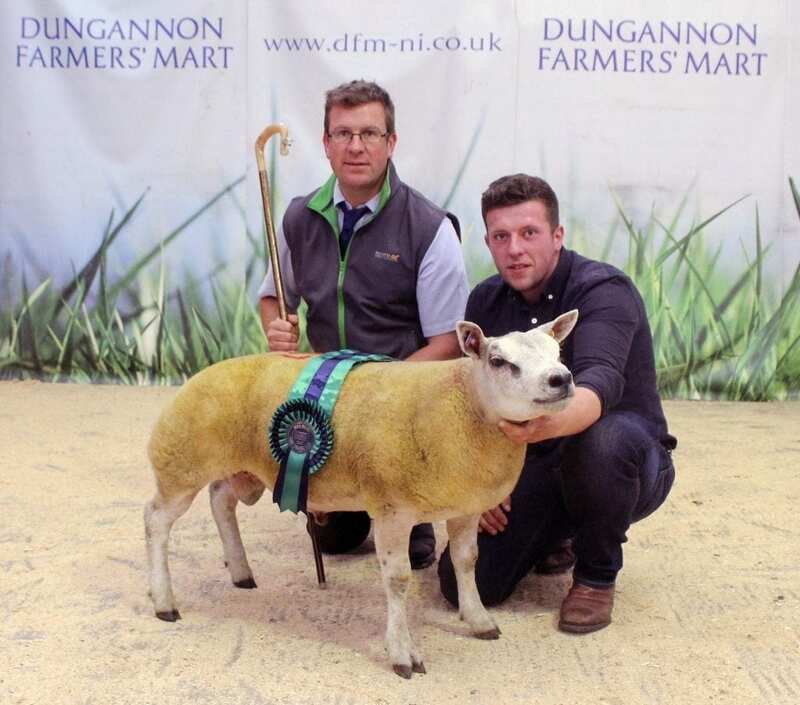 Patrick Brolly, Munreary Flock, right, with his Reserve Champion, Munreary Bingo, a Shearling Ram. 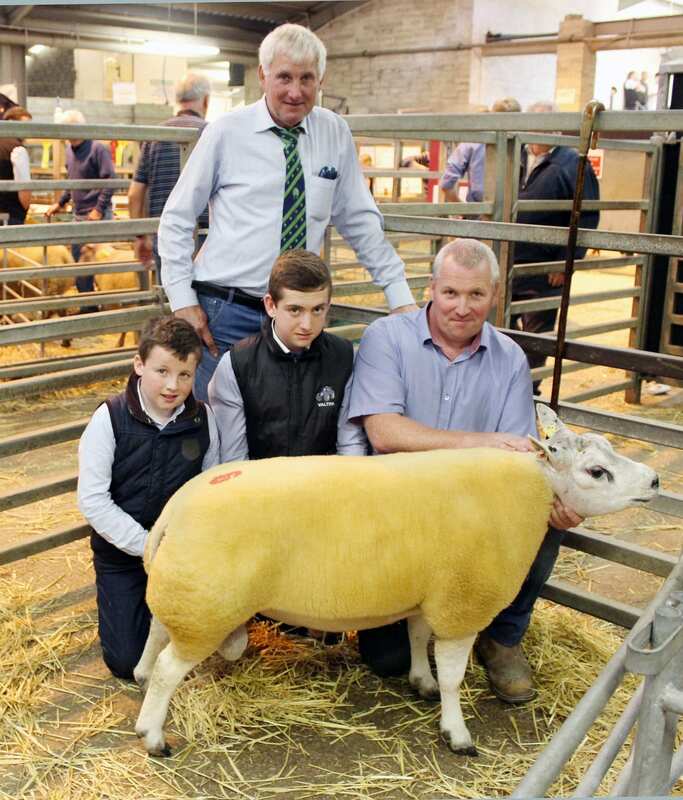 Also included is judge, David Thornley.